No one needs an excuse to go to New Zealand – heading there just because it’s amazing is reason enough. 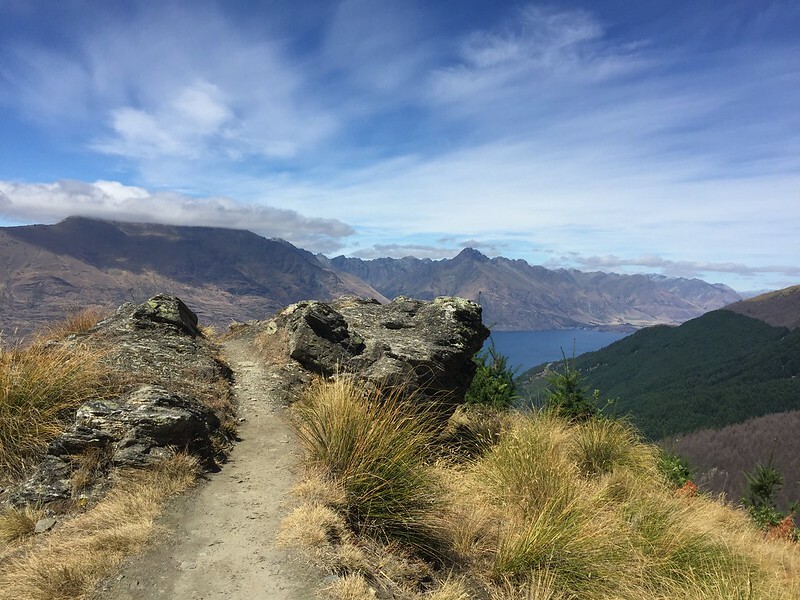 But if you find yourself hemming and hawing about when to go, try to squeeze it in in February to take in the Skyrunner race in Queenstown. The beauty of the South Island is indescribable. The race – no joke. 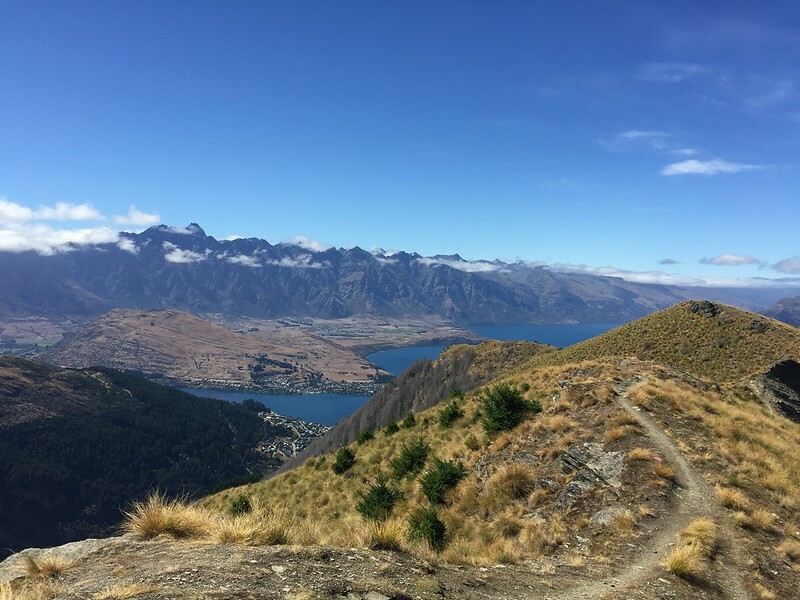 I am lucky enough to have special ties to New Zealand, so I was there on less of a vacation and more for necessity, but I was sure to fit in some epic running and hiking. 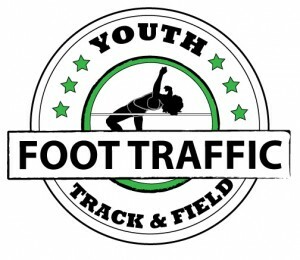 This race had been on my radar for months but due to a lengthy injury, I put off actually registering. In the airport on a layover en route to NZ, I resigned myself to “just” the 10k (there were also 32k, 20k, and 3k options). 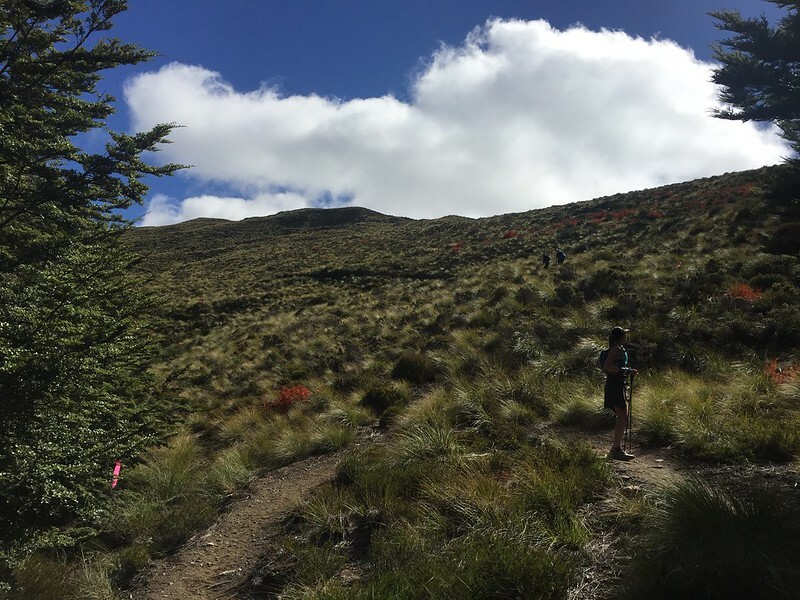 My husband and our two friends signed up for the 20k and after a comedy of errors with lost luggage and last-minute gear acquisitions (due to overlooking mandatory gear check requirements! ), we found ourselves in line for the gondola on Saturday morning. 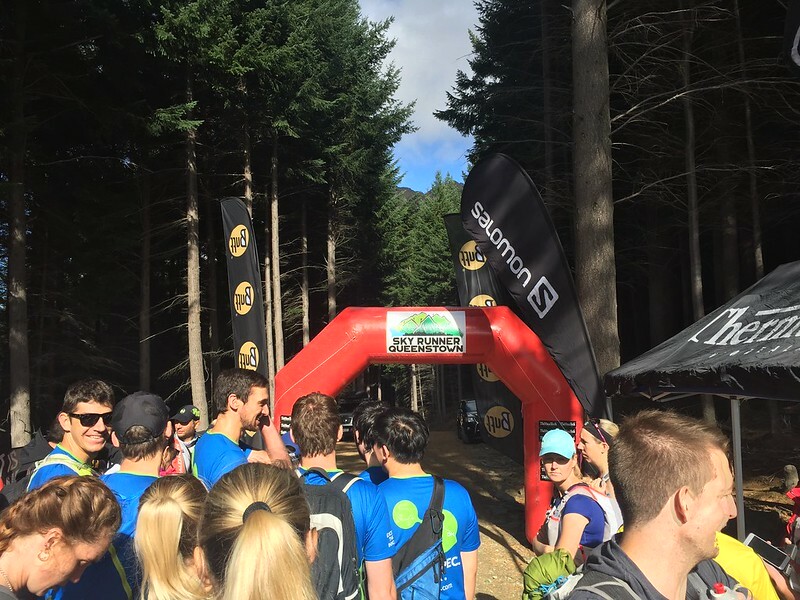 This year was the inaugural event and it is along much of the trail to the infamous Ben Lomond Track, overlooking Queenstown proper, views of Lake Wakatipu, and The Remarkables. Though it was summer in NZ, the morning in the mountains was crisp. 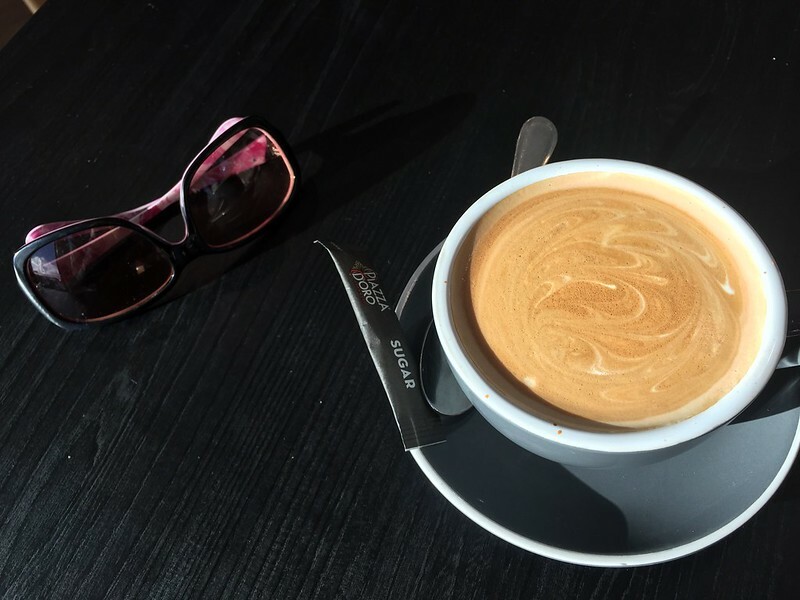 The longer distances started early so I had about 2 hours to hang out in the coffee shop, enjoying a flat white and free wi-fi (ironically, sending photos to our editor, Matt, to invoke jealousy!). Eventually it was go-time and we lined up at the start. The race director, through his bullhorn, asked for those who’d travelled farthest and I was happy to tie with two men from California. A few minutes later, we were off, beginning with a gorgeous downhill through the woods. It was a stunning morning, which was lucky, as Queenstown had Portland-esque downpours for the few days prior. The start line was “a river”, we were told. In the mountains, anything can happen, but we were very lucky this particular day. 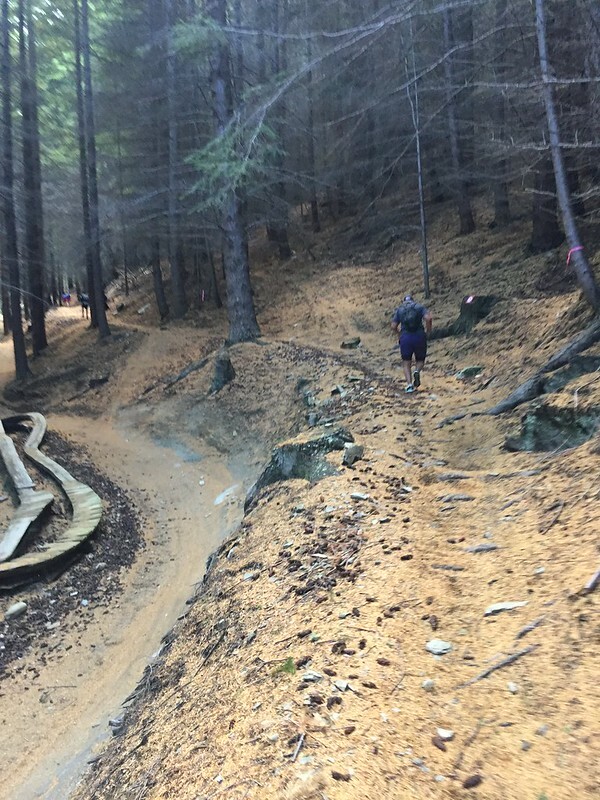 This was a 2-hour 10k for me, and with over 2,200 feet of elevation, it was more of a fast hike (I was even lapped by my friend doing the 20k!). I was “running” with a woman from Australia and we talked racing, nutrition, gear, life in America, adventures in Oz, politics, the whole 9 yards. She was great and all I can say is travel + running = perspective. We all know and have (over)used the saying “what goes up, must come down” and so it did. We crossed Razorback Ridge for the views, then scrambled down the other side, back through the trees for some sweet downhill to the finish. My legs were trashed for the next 4 days. Coming into the finish we were handed beautiful glass coasters. I met up with my group and recapped how stunning the entire day was, then hobbled back to the gondola for the ride back to town. A quick stop off at a coffee shop at the bottom and back to the NZ trip itinerary. It was a perfect morning adventure. 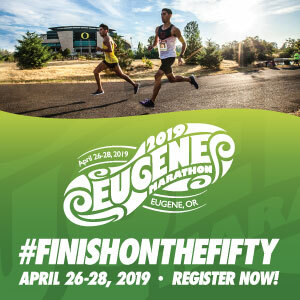 Registration for the Feb 2019 event opens on August 23rd – just sayin’!